Centerre Construction is an award-winning general contractor and design-builder that has been providing competitive pricing on all types of commercial Design-Bid-Build, CM/GC and Design Build projects for over 25 years. Our experienced staff is empowered to deliver value-added results and ensure that each project we build exceeds our client’s expectations. The ideal structure for project success. Principle involvement. Meticulous pre-construction. A tightly defined process. Step-by-step accountability. These elements form the structure on which Centerre has built 25+ years of construction success. Simply put, Centerre has the structure and process to deliver a better building or renovation project for the money. Your project benefits from expert communication from first meeting through completion thanks to an organizational makeup that streamlines information flow while minimizing overhead. That means more money goes into your project instead of the general contractor’s operating expenses. Additionally, our estimators and project managers have construction management or engineering degrees. 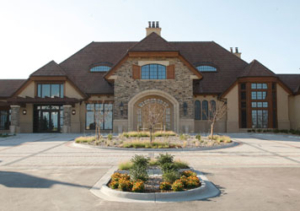 Their expertise helps Centerre assure the “right fit” for projects ranging from office tenant finishes to complex, golf course clubhouses with high-end finishes and extensive MEP requirements.